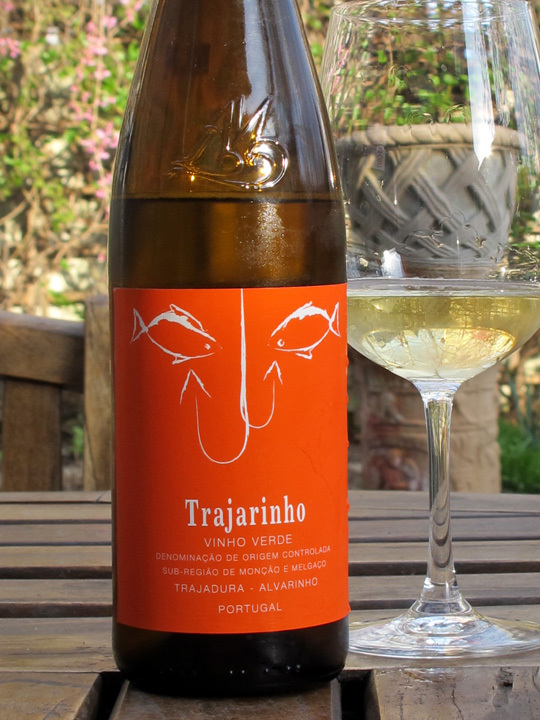 Summer approaches and it’s time for Vinho Verde! This wine is light lemon yellow in color, with floral notes and hints of quince, apricot & apple crisp spices that provide an underlying rich/lush quality. This is ultimately light and dry however, seeing no oak. Clean and crisp on the palate and characteristically effervescent, it has lively minerality along with great acidity. Astonishingly complex and simple all at once, this is maximum expression of the Vinho Verde terroir. Low alcohol content (11.5%)! Simply delicious and hugely refreshing. Pair with seafood, sip by itself or absolutely bring it along for a picnic on the beach! Luis Moya recommends enjoying it with fresh crab! Vinho Verde is a wine that comes from northwest Portugal bordering the Rias Baixas region of northwest Spain, right on the Atlantic Ocean. The soil is pure slate, with some granite, which is where all that amazing minerality comes from! (In Spain the soil is more sand and clay). The grapes are a blend of Trajadura and Alvarinho, the same that they use to make Albarino in Rias Baixas. The wine is also similar in style to the white wine Txakolina in the Basque region of Spain. Stay tuned for more fabulous wines from these areas! This video with Luis Moya is excellent and gives you a real feel for the Vinho Verde. Comes to us through CRUSH Distributors. Available at: Browne Trading Co., Rosemont Markets and Downeast Beverage in Portland. Frontier in Brunswick.